Whether you rent out one property or several hundred, it is your responsibility to ensure that your property(ies) are safe and a crucial aspect of that is their electrical safety. Over 30 deaths each year can be directly or indirectly attributed to faulty installations whether through fire or electric shock, and the vast majority of these incidents are easily preventable by ensuring that all electrical work is carried out by fully trained electrical professionals, preferably belonging to a reputable trade organization like NICEIC. The incidence of domestic electrical accidents is significantly higher in rented accommodation than it is in owner/occupied premises due to the transient nature of people who rent and their general indifference to carrying out basic structural repair and ongoing maintenance. Additionally, rented accommodation often houses a greater density of people, in turn leading to greater wear and tear on the properties, including on their electrical installations. A further source of problems arises if a tenant carries out their own unauthorized electrical work, which is highly unlikely to be compliant and will almost certainly not have been inspected by the local control office. Following on from the above it is essential that landlords carry out regular inspections of their properties to assess and monitor the condition of the properties electrical installations, bringing in professional expertise (such as an NICEIC accredited electrician) wherever necessary or appropriate. Part P – What Does this Mean for a Landlord? Part P is the part of Building Regulations which focuses on electrical safety and which attempts to put electrical safety installation on the same footing as gas safety. These regulations were brought into effect in 2005, in an attempt to reduce the number of electrical accidents caused by faulty installation. It is imperative that, as a Landlord, you ensure all work carried out on your properties is Part P compliant and failure to do so can lead to fines (up to a maximum of £5000) or the imposition of an order to redo previously completed work to bring it into line with the standards. Part P applies to any new circuit installed in the property, including communal areas, and may also impact existing circuits where all but minor works is being carried. 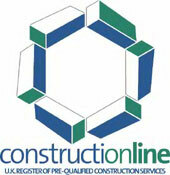 It is the Landlords responsibility to check whether any work being carried out is subject to the Building Regulations. In summary, while it is your responsibility to ensure the electrical safety of all installations and appliances in your properties, this need not be too great a burden if approached in a methodical manner and professional electricians are consulted and employed as appropriate.